Each October, people of all ages come to Columbia to participate in the South Carolina State Fair. Organized in 1869, the fair offers fun, food, education, and great competitive exhibit opportunities. The South Carolina State Fair is ranked one of the TOP 50 Fairs in the United States. In 2019, the fair will celebrate 150 years. The SC State Fair is a local, self-sustaining, non-profit organization. The Fair Gives Back…over the last decade, the fair has returned over $3M in scholarships to help educate SC youth. 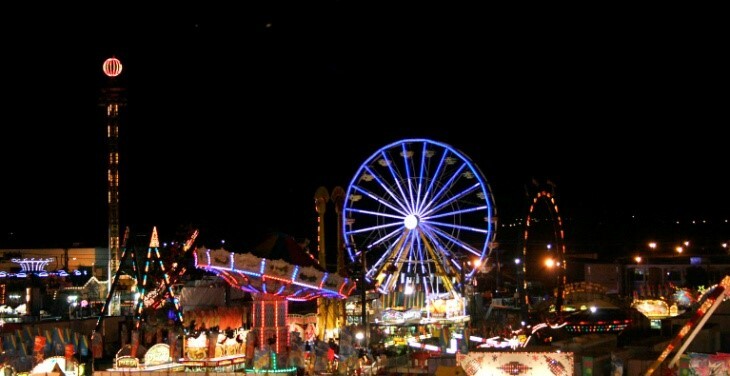 The fair runs for 12 days from October 10th through October 21st at 1200 Rosewood Drive in Columbia. For a calendar with admission times and highlights, visit here. Ticket sales began on September 5th and can be purchased online at etix or in person at Circle K locations. 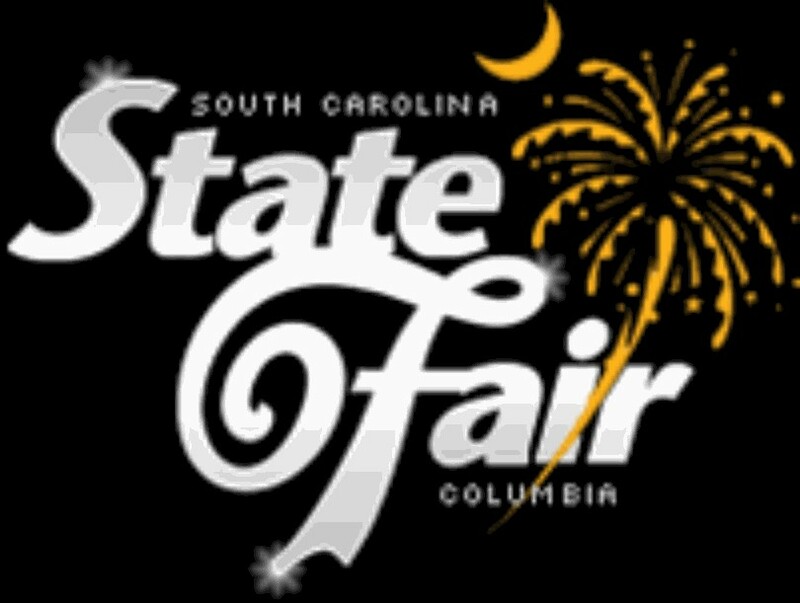 For pricing on admission and ride vouchers, visit the SC State Fair website here. Parking is $5 and cash only. Animals. Eudora Farms will provide an interactive, educational animal adventure showcasing exotic animals from around the world. Bill Coburn will have a Border Collie Herding Exhibition providing engaging fun for the whole family. The Barnyard Cackle Review, a seven character singing chicken show, will also be performing. Rides. Whether you’re looking for daring, slow, or fast, the fair has a ride for you! 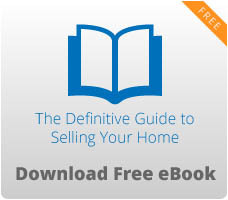 You can also try your luck at games like darts and water gun races. New ride this year called The Frisbee where passengers will soar 44 feet in the air as gigantic legs hold a pendulum that swings side to side while accelerating up to 50 mph. Arts & Crafts. FOLKFabulous incorporates hands-on art making, parades, jam sessions, pop-up displays, narrative stages, and demonstrations celebrating the traditions and spirit of Mardi Gras. Visit Sandscapes to see artists turn 75 tons of sand into art. You can see the creation of the Little Red Balloon House made out of 10,000+ balloons in the Ellison building and so much more! For a full list of arts & crafts activities, visit the fair website here. Flower Shows. Flower arrangements will be displayed through the Cantey Building, and various shows will be presented throughout the duration of the fair. Food. There will be 90+ food stands with elephant ears, corn dogs, fries, and more. New foods for 2018 include a Red Beans & Rice Sundae, a Frito Chili Pie Burger, Maple Cotton Candy, and Apple Dumplings. Agriculture & Livestock. Where else can you see a goat competition, rare horses perform their gait, chickens compete for ribbons and prizes, rabbit competitions, and young equestrians perform in a 3-day competition! Entertainment. The Grandstand Lineup features a different act each day including Tokyo Joe, an Elton John Tribute band, Scotty McCreery, Bret Michaels, Trace Adkins and more. For a full list of lineup and dates and times performing, visit the site here.